Osprey Pointe is where visionary businesses can build their future in the Pacific Northwest. 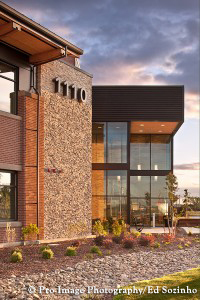 Osprey Pointe, one of the most beautiful waterfront locations for commercial development in Southeast Washington, is designed for business with life in mind. Osprey Pointe Business Park is an innovative approach to corporate and professional office and technology development. When most executives think about the image of their company, they think of branding, logos, advertising and marketing. But your office space says a lot about your company to customers and employees. Office space comes in many shapes, sizes and qualities. Your business location should reflect the image you are trying to create for your company. What does your office space say about your company? Set yourself apart at Osprey Pointe. Osprey Pointe is conveniently positioned near the Heritage Industrial Center, Big Pasco Industrial Center and the Oregon Avenue light industrial corridor. Companies can take advantage of being near manufacturing and distribution hubs – while at the same time, feeling as though they are miles away from everything; except nature and the clear-blue Columbia River. Osprey Pointe is one of the few levy-free Columbia River waterfront properties in Washington State. The 52-acre site has sweeping views of the Columbia River, Horse Heaven Hills, Rattlesnake Mountains and verdant vistas to the south across the river. It has direct connection to the 23-mile recreational bicycle and pedestrian Sacagawea Heritage Trail. This exceptional trail connects all three communities of Pasco, Kennewick and Richland.